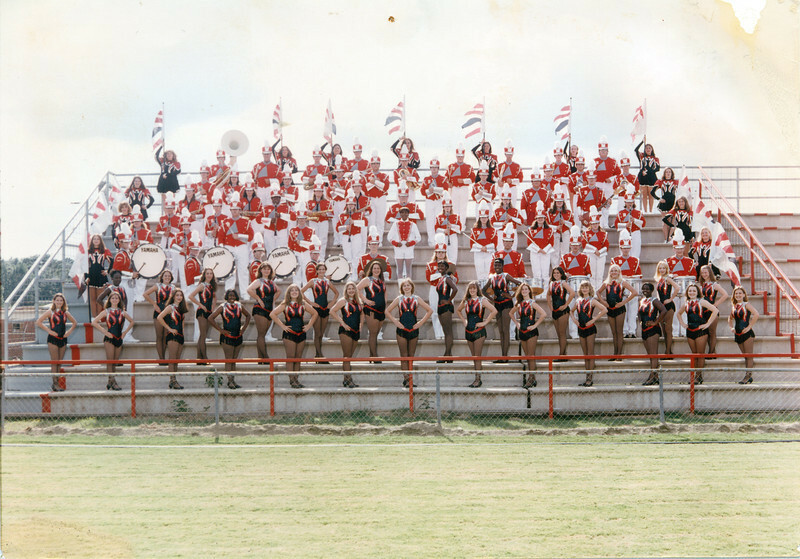 The 1998-99 school year proved to be successful for the Rebel Regiment. Rae Dennison returned for a second year as band director and Kelly Youngblood joined him this year as auxiliaries director. The band, drum major, and auxiliaries all earned superior ratings at the Hawkinsville Marching Band Festival and the Peanut Invitational Marching Festival. Between competitions, the Rebel Regiment wowed the crowds with unending enthusiasm and pep at football games, pep rallies, and numerous parades. This year, the Band Boosters purchased new band uniforms for teh band members and the auxiliaries cahnged their look too!